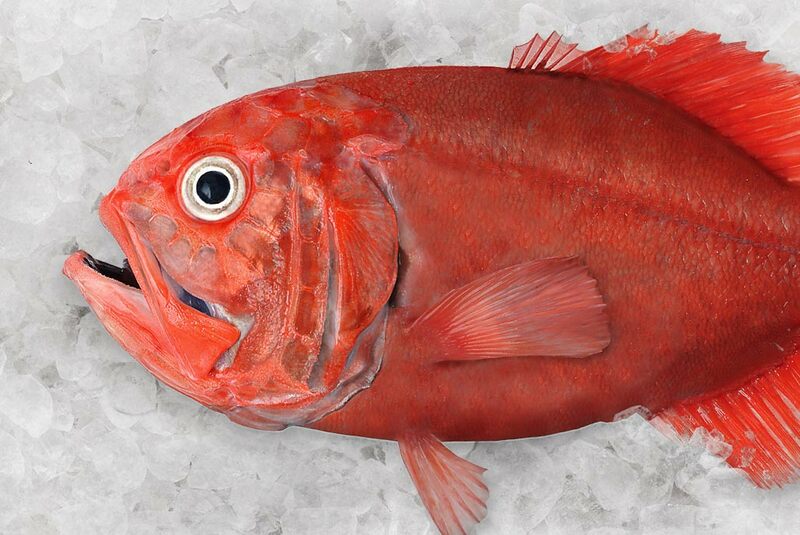 Seafood production and procurement can be a complicated business. Finding the facts behind the New Zealand seafood industry shouldn't be. Welcome to OpenSeas. Find out more about this popular species. 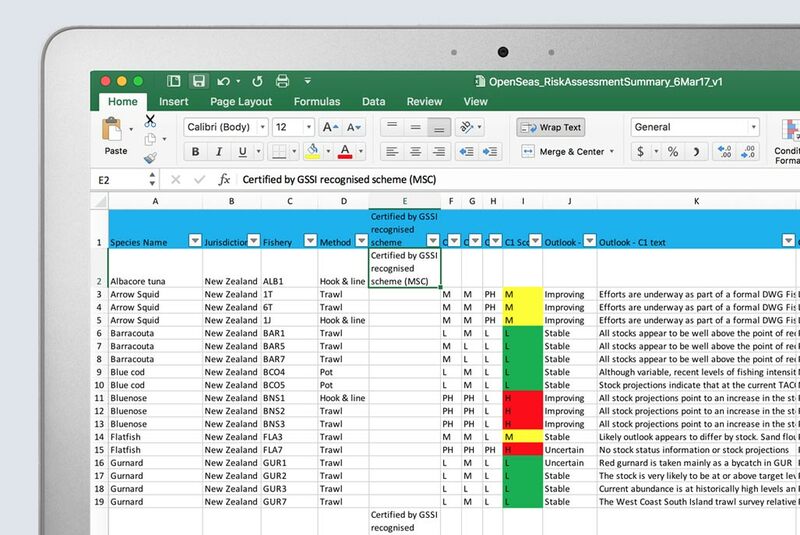 OpenSeas has made available an excel spreadsheet that contains all of the species risk and outlook scores in a tabulated format. The Story of New Zealand Seafood Starts Here. OpenSeas is your gateway to the most comprehensive set of facts and references underpinning the environmental, supply chain and workforce credentials of the New Zealand seafood industry. New Zealand seafood is produced in an environment that is rich in marine habitats and species diversity. With the 4th largest ocean territory in the world and as many as 65,000 species living in it, it's no wonder New Zealand invests so much time and effort into managing the marine environment. For more details about the fisheries management systems and conservation measures, click on the sections below. New Zealand has been repeatedly ranked among the best performing fisheries nations in the world. New Zealand's marine biodiversity is protected through a network of 105 marine protection areas. of New Zealand's territory is underwater. 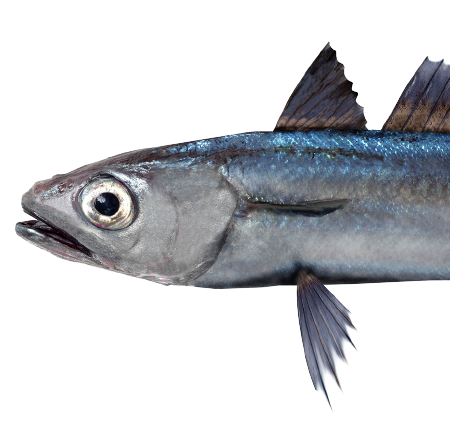 The Quota Management System provides for the sustainable utilisation of New Zealand's fish stocks. Potential risks to seabirds, marine mammals and other fish species are monitored and managed. New Zealand has a suite of conservation measures to protect marine species and biodiversity. New Zealand has a reputation as a trusted supplier of food. In fact, the provision of safe and suitable food is critical to the New Zealand economy. This is why the New Zealand Government provides a strong regulatory framework to ensure seafood is legal, safe and fit for purpose. For more details about New Zealand's supply chain controls, click on the sections below. 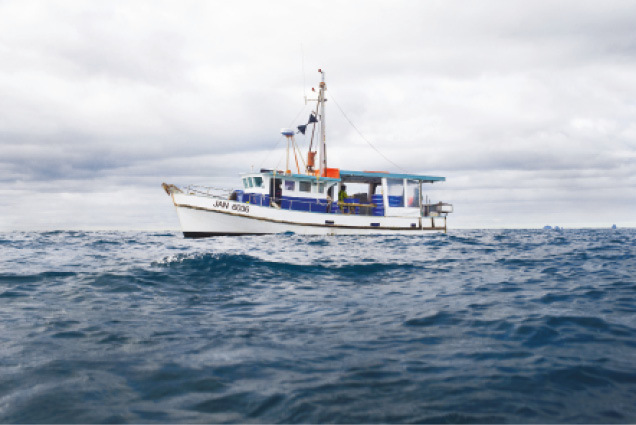 There are 1,165 registered commercial fishing vessels in New Zealand. There are 29 certified MSC Chain of Custody suppliers in New Zealand. The Government Observer programme plans more than 11,500 days at sea each year. New Zealand's traceability requirements allow for the identification and tracking of product as it moves along the supply chain. New Zealand’s food safety system is designed to provide safe and suitable food in New Zealand and for export. The legal right to fish and obligations for accurately reporting fishing actvities in New Zealand are tightly controlled. 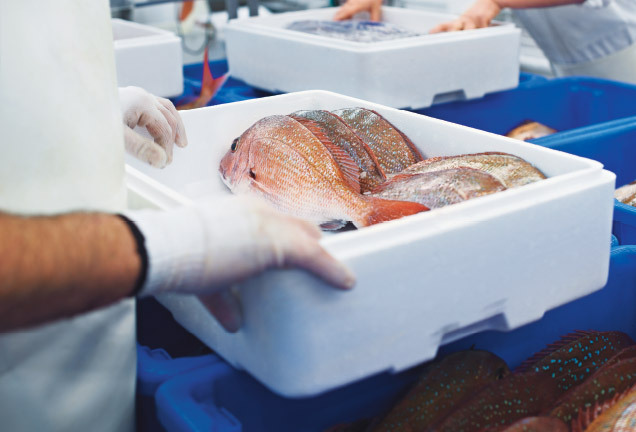 The New Zealand seafood industry employs over 13,000 people both on land and at sea. New Zealand Maori also have significant commercial and customary interests in seafood enshrined in the Treaty of Waitangi. The the rights and welfare of commercial and indigenous fishers are specified in New Zealand law. To find out more, click on the sections below. The livelihood of fishers at sea is protected through 13 Acts of Parliament and administered through 7 regulatory agencies. New Zealand does not allow foreign-flagged vessels to fish commercially in its waters. Around 2,500 people work in commercial fishing and aquaculture operations at sea. 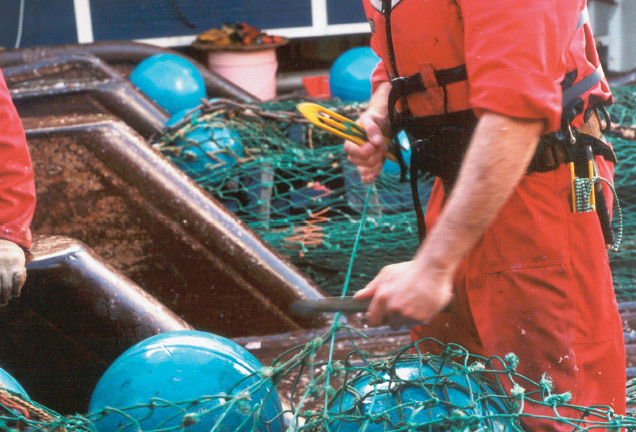 New Zealand law protects the human rights, employment conditions and safety of fishers at sea. All fishers in New Zealand are required to comply with legislative rules and standards to keep them and their peers healthy and safe in the workplace. The New Zealand Government recognises and provides for customary food gathering and the special relationship between the Tangata Whenua and places of importance for customary seafood harvests. The New Zealand Seafood Story.